In Allison Rushby's Heiresses, three triplets--estranged since birth--are thrust together in glittering 1926 London to fight for their inheritance, only to learn they can’t trust anyone--least of all each other. When three teenage girls, Thalia, Erato and Clio, are summoned to the excitement of fast-paced London--a frivolous, heady city full of bright young things--by Hestia, an aunt they never knew they had, they are shocked to learn they are triplets and the rightful heiresses to their deceased mother's fortune. All they need to do is find a way to claim the fortune from their greedy half-brother, Charles. But with the odds stacked against them, coming together as sisters may be harder than they think. 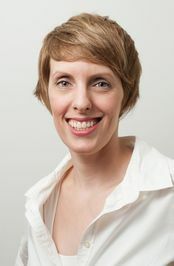 Having failed at becoming a ballerina with pierced ears (her childhood dream), Allison Rushby instead began a writing career as a journalism student at The University of Queensland in Brisbane, Australia. Within a few months she had slunk sideways into studying Russian. By the end of her degree she had learned two very important things: that she wasn't going to be a journalist; and that there are hundreds of types of vodka and they're all pretty good. After several years spent whining about how hard it would be to write a novel, she finally tried writing one and found it was quite an enjoyable experience. Since then, she has had nine novels published. She keeps up her education by sampling new kinds of vodka on a regular basis. 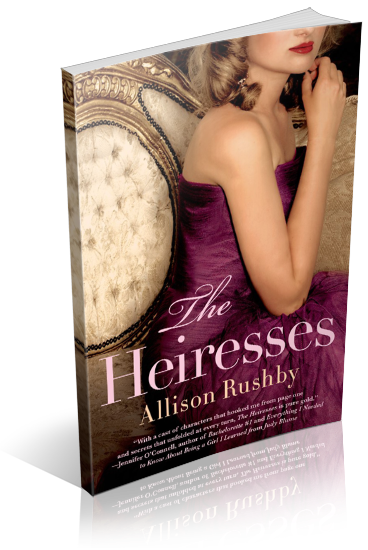 I am organizing a book blitz for The Heiresses by Allison Rushby, a New Adult Historical (for fans of Downton Abbey) coming from St. Martin's Press in May. The blitz runs from May 7th to May 17th, you may post anytime during this window. There will be excerpts and guest posts available for your post, and every participant will be able to share the blitz Rafflecopter grand prize for 20 paperback copies (there will be an entry to follow your blog).